Former NBA star Lamar Odom was rushed to a Las Vegas hospital last night after he was found unresponsive in a Nevada brother, according to police reports. Odom was at the Love Ranch, which is a legal brothel in the town of Crystal. According to the owner of the brothel, Dennis Hof, Odom was taking a lot of “herbal Viagra” during the night and ended up unconscious at one point, which is when brothel workers called 911. Hof said that there was “terrible foaming stuff” coming out of Odom’s mouth and that he instructed his employees to turn him over on his side. Hof also added that Odom was vomiting and that some blood was visible in the vomit. 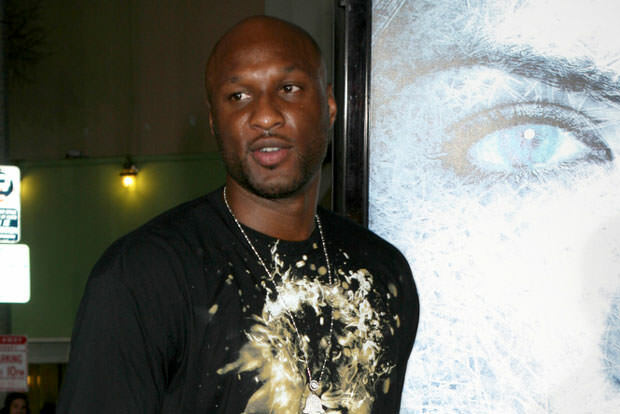 Outside of being on the list of best sixth men in recent NBA history, Odom is known to the public as the former husband of reality star Khloe Kardashian. He is 35 years old. I can’t help but to be up right now… THINKING about my ex teammate/ friend LO.. On my knees praying…please God let him pull thru..
Praying for my boy L O….🙏🏽🙏🏽🙏🏽 Prayers up!! !